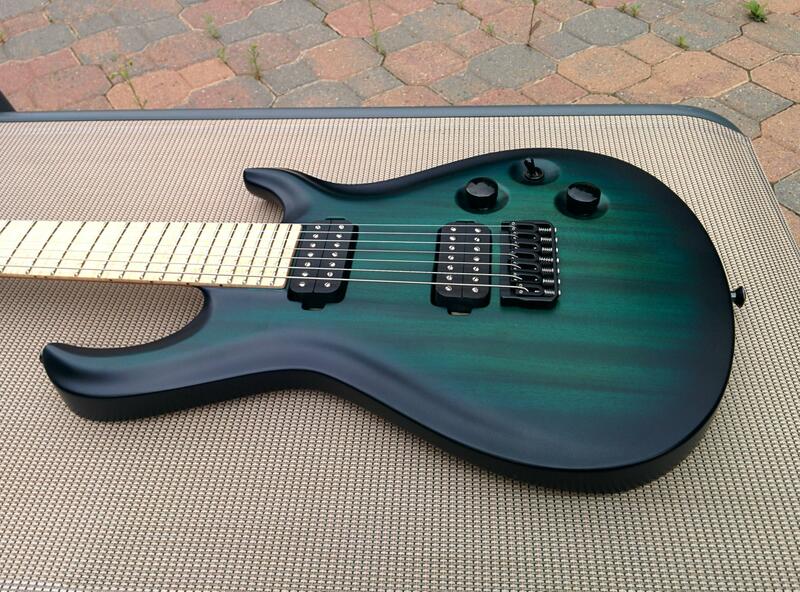 Discussion in 'Guitars For Sale / Trade / Wanted' started by b7string, Aug 8, 2014. I wish I could say it is mint, but it is not quite. There are some very minor impressions on the back of the neck, a couple small marks near the top of the headstock, a mark near the bottom strap pin. The string-through grommets left some impressions in the finish on the back aswell. All are pictured. Accessories (hardshell case etc): Softshell SKB Case (Came with Guitar), allen key for truss rod, dunlop strap locks. International OK? : I'd prefer not to, Con US and Canada only please. I am the original owner, and I must say, this guitar plays amazing. It has a very snappy/bright sound to it. Very tight sounding bridge pickup, and the neck pup is reminiscent of a 59/PAF type sound. Great playing, amazing fretwork, and the fretboard is absolutely beautiful. Only selling because an engagement ring isn't going to pay for itself PM me with any questions and I'll get back to you asap. P.S. Because I work out of town, I am only able to ship things out on Fridays. Bump! Open to offers, don't be shy. Thanks for the reply, really looking for cash right now, but I'd consider a 2014 Schecter Loomis + Cash. Also, price listed is OBO. Bump! Pre-Weekend Price drop - $1800 Shipped/PP'd OBO. Need to move this thing! Bump! Final Price drop. $1700 USD Includes PP fees + Shipping to CON USA/Canada. Price is now fairly firm.